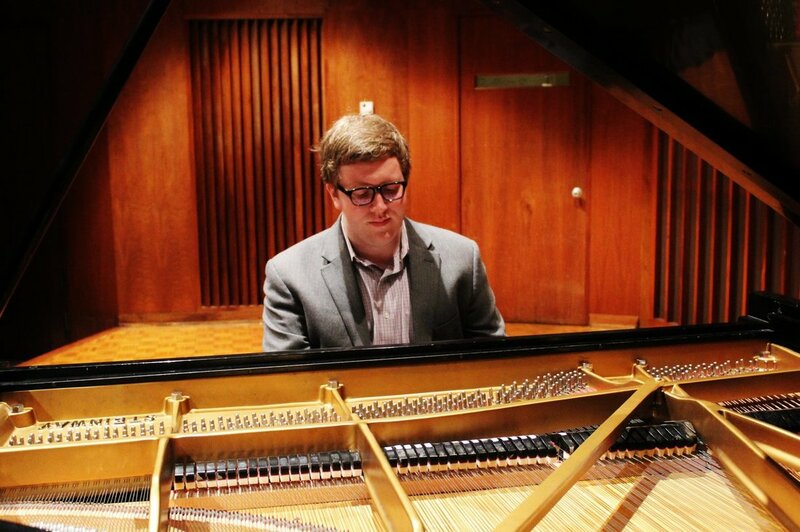 Matt Blair is a pianist, composer, improviser, and educator currently based in Appleton, WI. As a pianist, he has performed with a number of groups in a variety of styles at venues including The Bay View Jazz Fest, Chicago’s Park West, Chicago's Museum of Contemporary Art, Milwaukee’s Jazz Estate and historic Pfister Hotel, the Museum of Wisconsin Art, and The Trout Museum of Art. He has had the honor of performing with many great improvisers including John Christensen, Devin Drobka, José Encarnación, Hal Rammel, Dane Richeson, and Chris Weller. Along with Drobka and Christensen, he is currently in the process of developing a repertoire of original trio compositions to be performed and recorded in the near future. Matt is currently pursuing a Bachelor of Music degree with a self-designed major in contemporary improvisation at Lawrence University in Appleton, WI. His mentors include Bill Carrothers, José Encarnación, and Matt Turner.